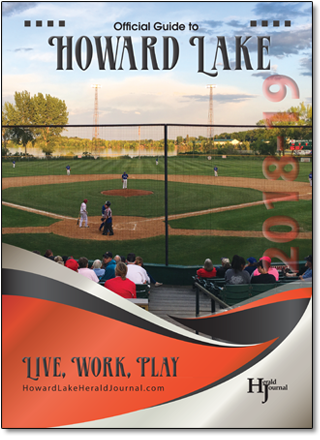 Hello and welcome to Howard Lake, MN! Over the last year, we have had 45 new single-family homes; representing our single-best year for growth ever! We are excited to welcome new businesses Wright Storage and JSH Construction to our business park. Downtown, our collection of vintage and specialty shops continue to expand with Vintage Exchange, Tiques and Things, Tisdale Studios and Maria’s Mexican Restaurant all opening up shop in the last year. These folks join an already eclectic business community! We have constructed two important trail connections that seek to link downtown to Memorial Park and the Wright County Fairgrounds; on the north side of the lake, we have constructed a trail connecting the heart of our city to areas of new residential growth. Collectively, these projects seek to further our greater goal of circling the lake with bike and pedestrian connections. We are proud of our history and excited for our future! In fall 2018, we approved a $1.5 million preservation and accessibility project with our signature Historic City Hall. This project will preserve the building and restore the second level in a large meeting and banquet space overlooking Howard Lake and downtown. This project will be completed in summer 2019, and we will commemorate the accomplishment with a grand opening and 115-year anniversary celebration! Looking ahead to 2019, our focus will be on family and fun! We have assembled a powerful community group to address our child care shortage; together we will improve access to quality care in Howard Lake. We will continue to partner with Howard-Lake-Waverly-Winsted Schools to expand our Recreation, Exploration, Art and Community Health Initiative (REACH) Formerly known as Summer Rec, this program has expanded beyond baseball to include soccer, free play, and over two dozen activities and events throughout the summer. Finally, 2019 will bring a significant park creation at the site of the former middle school, a block south of downtown. If you’re looking to learn more or participate in any of these exciting endeavors, please reach out. Howard Lake may be small, but we’re large in amenities and proud of our full-service community. Come join us!